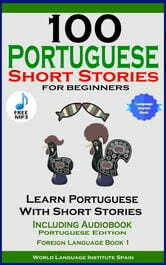 Brush up your Portuguese, grow your vocabulary and ignite your imagination with these 100 entertaining and culturally interesting Portuguese short stories! 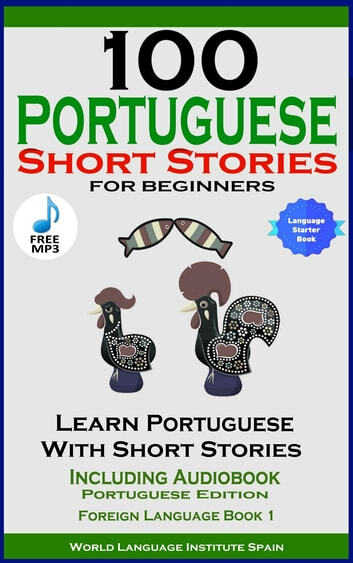 Here you have 100 entertaining and interesting Portuguese short stories for beginners and intermediate learning level. All Portuguese short stories are unique and entertaining in content, and new vocabulary is gradually added at a manageable pace so you won't get overwhelmed. Towards the end of this Portuguese book you find the stories slightly more complex, but still comprehensible for advanced beginners and intermediate level learners. Also, this Portuguese language learning book offers you a wide range of culturally important information you can use when you travel to Portugal or study there, and frankly, this book is not only for Portuguese language learners but also for anyone interested in Portuguese culture in general. Included is a FREE AUDIOBOOK in one MP3 file which contains 40 of the more extensive stories.